What would be your response to this question? I would tell her you look rather “Bony”! Your Marriage Can Say a Lot In a Picture! What does this picture say about Marriage? What components do you need in your marriage, so you can insert you and your spouse’s face on these two figures? The question of the Day has to do with Healthy Relationships! In a study from the University of Chicago, researchers found that when a husband has a high level of positivity, there’s less conflict in his relationship. Likewise, the way partners respond to each other’s good news matters too. In a study published in The Journal of Personality and Social Psychology, researchers found that the way couples react to each other’s good news—either with excitement, pride, or indifference—is crucial in forming a strong bond. So the question of the day is What does a Healthy Relationship look like? What components are necessary? For Men, Respect is More Important than Love! The Question of the Day has to do with Responsiveness? How responsive are you to your partner’s needs outside of the bedroom? According to a recent article in the Wall Street Journal, the more responsive you are to your partner, the more sexual desire they will feel for you. This is especially important because the all out passionate that just automatically comes with marriage will fade between one and three years. If you feel you have lost that sexual desire for your spouse or vice versa and need help on how to get it back, please contact me for a free consultation at info@strive2succeedcoaching.com. S2S Question of the Day – Is Cohabitation King? In a national survey conducted by the Barna Group. 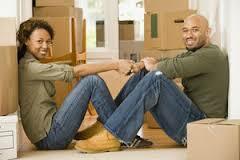 Cohabitation is next step in seriousness when it comes to relationships. Out of the 1097 adults surveyed in April 2016, they found that that 65 percent of Americans now approve of cohabiting before to tying the knot, while 35 percent do not. So the S2S Question of the Day is, do you believe cohabitation is a good idea? If you took this route before marriage, how did it strengthen your marriage vs. non-cohabitation?